It's dark when I leave for work and dark when I come home, not to mention it's cold as balls outside for the most part already. Winter is upon us people, time to dress appropriately. 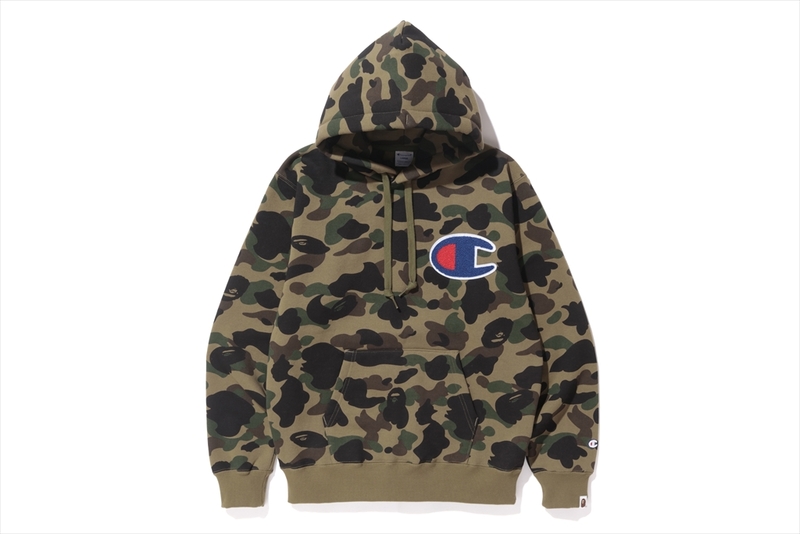 I've been thinking about buying a hoody but I'm torn between getting something nondescript and cheap, or something nicer both looking and quality wise. There is an overabundance of choices both new and in mid season sales, but I finally settled on a something you've most likely seen on other lifestyle blogs already. A capsule collection created by American sports brand Champion and A BATHING APE® will launch on October 29th, 2016. 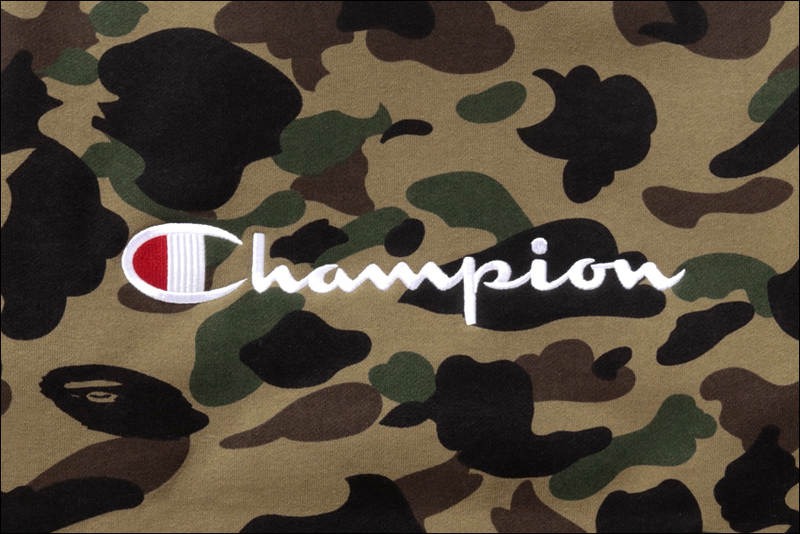 The collection includes a wide range of items such as t-shirts, tank tops, and even basketball shorts were crafted with the quality and history of Champion and the iconic design of BAPE®. 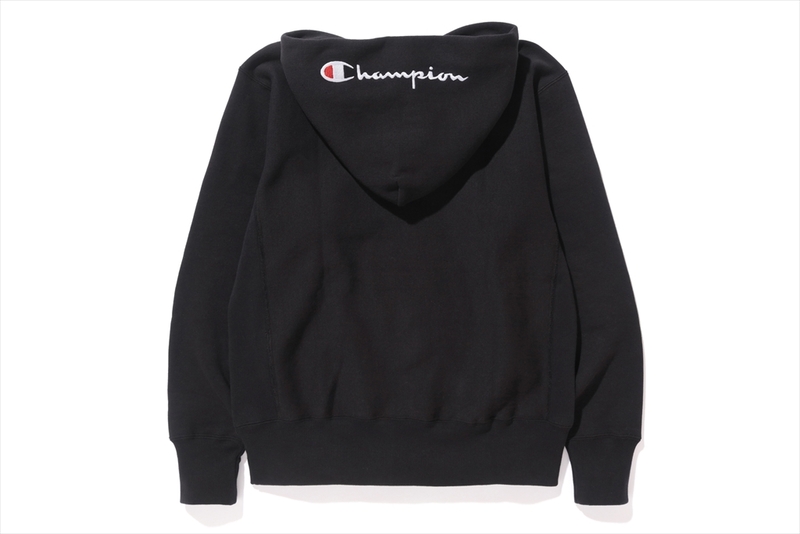 Honestly, I could have gone for several brands collaborating with Champion for AW16 and almost went for the Bounty Hunter Spot Logo pullover, but couldn't find enough info to satisfy me. So instead I went with fellow Japanese brand A Bathing Ape and it's Champion collection as it had a tag line above and plenty of great looking pics to go with it. The sweatshirts are a little confusing as the camouflage option looks updated but the plain versions look to have that elongated collar that is sadly consistent with the OG style that I can't stand. Whilst the hoody has always been pretty damn flawless, the OG sweatshirts often resembled the shape of a chest freezer, but these do at least look a better fit. I saw a comment on the OG Bape Talk Facebook group about Champion being a strange choice for A Bathing Ape to work with. As you can imagine much knowledge was dropped about the long standing relationship between A Bathing Ape (as well as a number of revered Japanese brands) and the difference in not only price point but more importantly the quality between JP/EU Champion and it's less fashionable US kin. The reverse weave items are practically regarded as staples in street wear now, as they offer authenticity and longevity in terms of production, fit and design. For those of the older generation there's certainly a degree of sentimentality and nostalgia when it comes to that infamous script and C logo, but even they can be overemphasised. With that said I think A Bathing Ape has captured the integrity and essence of both brands with this collection. If like me you are looking for something warm, comfortable and eye catching then you can't go wrong with this collection. 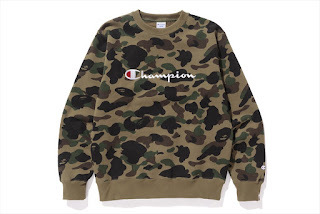 I'm a sucker for the woodland camouflage and Ape Head logo but you could always just pick something from the conventional Champion range through the likes of Urban Outfitters which'll save you some pennies without compromising on quality.